Legally speaking, every employer should consider using an employee non disclosure agreement for their relations. 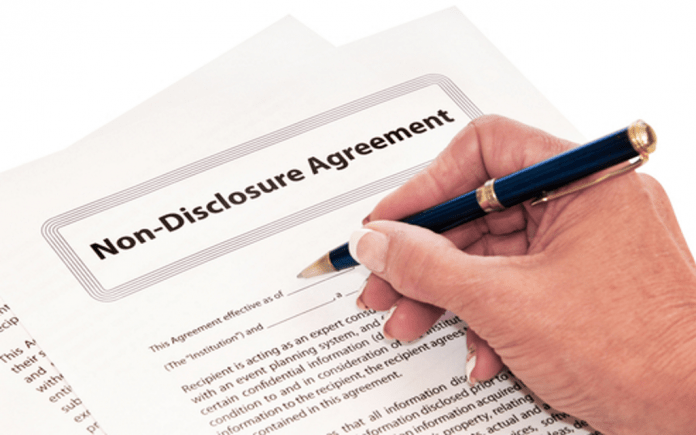 The contract states that one or both parties will supply and disclose confidential information over the course of a period of time. Any or all information is considered private and shall not be disclosed to anyone else. Below you will find a list of 5 benefits of taking this course of action. This type of action allows one or both parties to tailor the agreement to their own liking. One or both parties can spell out what is included and what is not to be included. Every situation is different. Some parties will not need to have certain information disclosed. This allows one or both parties to follow their own protocol, not getting bogged down into a one-size-fits-all sort of thing. This agreement will allow both parties to define what is considered confidential. Some consider trade secrets to be confidential. Some consider information on “certain” parties who represent the company to be important. It all depends on who the company is. It depends on what the company represents to the investors. This agreement will spell out everything, including media files and other data. Agreements like this can spell out what will happen if the other party does not comply. Any kind of breach is considered to be a deal breaker by most company standards. It is best to have one of these agreements ironed out between you and the other party. Do not rely on the company execs to do it for you. Those who are higher up in the company can add in provisions you do not agree with. Doing this yourself will allow you to have complete control over what happens with the breach. A breach can have many levels to it. Certain levels may not be as detrimental as the others. This is why it is best to do it yourself. An agreement like this will have damages included and may consist of court proceedings. It all depends on the level of the breach and the circumstances. Having this as a safety net will keep you and your company from suffering further loss. An agreement like this will protect you against future issues. Some people tend to leak certain preliminary information. People do this based on clauses disclosing obligation. Let us say you agree on something in the beginning stages. Or you later disclose this type of information to another company. You do this based on an obligation to the other company you held a long time ago. These types of agreements protect the company from going through possible problems. This is most often used during a merger or business takeover. The company taking over is looking for any kind of issue in the other company. You may have someone working in the company for you who is also providing information to the company taking over. A non-disclosure agreement, particularly with this clause, would keep this person from saying anything detrimental. You never know when you will need this protection and for how long. The court is not going to protect you in the event you do not have a non-disclosure agreement signed, which is why it is important to keep it. You are only leaving yourself open for more court scrutiny and heartache. The court is more likely to favor you in the event one of these agreements is shown. This agreement shows the court you are doing what you need to, in order to protect yourself.